Trans-Tasman is an adjective used primarily in Australia and New Zealand, which signifies an interrelationship between the two countries. Historically, dealing with trans-Tasman proceedings was quite complex. On 13 October 2013 the Trans-Tasman Proceedings Act 2010 (TTPA) came into effect, greatly simplifying the process. Why was the TTPA established? 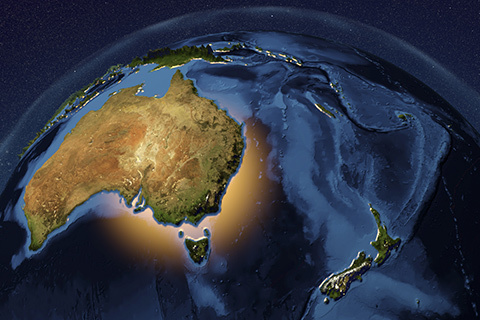 Under the TTPA, trans-Tasman service of proceedings are treated differently from service in other overseas jurisdictions, simplifying the process. For example, proceedings can be served in Australia in accordance with New Zealand guidelines (subject to some exclusions) and the effect is the same as if the document had been served in New Zealand. Under the TTPA, the defendant may apply to the court for a stay of the proceeding, on the grounds that their home country court is the more appropriate forum for the proceeding. The TTPA puts greater weight on exclusive choice of court agreements and requires the court to give effect to these agreements in most circumstances. The TTPA creates a code for dealing with the enforcement of Australian judgments in New Zealand and vice versa. For most civil proceedings this requires the judgment to be a final and conclusive judgment given in an Australian/New Zealand court. Some matters are excluded from the TTPA, such as the dissolution of a marriage, spousal/partner maintenance and child support. Other matters are excluded only from certain provisions of the TTPA. The TTPA greatly simplifies trans-Tasman civil proceedings, making them more efficient and cost-effective. As a result, we may see increased litigation between Trans-tasman parties, and practitioners under the TTPA should have experience in civil procedure in both Australia and New Zealand. Nyman Gibson Miralis specialise in all aspects of international and transnational criminal law, including trans-Tasman civil proceedings. If you require assistance, contact one of our expert criminal defence lawyers.